As a parent, instilling good money habits in your kids is one of your most important responsibilities. But where do you start? And more importantly, what if your relationship with cash is a bit strained? Good news—most of the fundamental principles of good financial management you have already learned (albeit the hard way), and the quickest way to put those into practice is by teaching and modeling them for your children. Give them a “fee for service” allowance: Allowing kids to earn their allowance—at a very young age—is one of the greatest things you can do for your child. This teaches them that money is always earned and that it is payment for work done and services rendered. It also will eliminate the feeling that since you are the parent, you owe them—which is critical down the road. Make them spend their money on things they want: Allowing and requiring them to spend their own money on things they want is important to their financial development. They must be allowed to make their own purchases, and if they come up short, they must be taught to wait and to save. They must experience the feeling of delayed gratification. This not only teaches patience but will help thwart unnecessary credit issues in adulthood. Require a budget (rule of 50/40/10): This is a simple way to help kids (and you) calculate how they should divvy up the cash they do get and to plan for future expenses. This is non-negotiable. The 50/40/10 rule simply states that of all money received, 10 percent is given to charity, 40 percent is set aside for savings and 50 percent is for spending. And even though the 50 percent is for spending, it still requires a written plan (budget) for how it will be spent. Open a checking and savings account: Open a checking and savings account for your kids, and have biweekly or monthly budget meetings with them to track and discuss their expenses, and see how much they have saved and given to charity. The most important thing here is ensuring that your kids know their numbers (what they have, owe and spend) at all times. Teach them about credit, borrowing, and repayment: Teach your kids the simple lessons about credit cards and borrowing money. Help them understand that anything purchased with credit or borrowed money must be repaid according to the specified repayment schedule and that these types of purchases cost them more in the end—yes, have the interest talk with them. Teach kids about investing: This lesson should be taught simply and at a level your kids understand—but it needs to be taught. They should understand how their checking and savings account works and how they accrue interest and can grow their money by putting it away and waiting. Don’t bail them out: If they do choose to spend their disposable income and something else comes along where they need money (especially teens), don’t rescue them. Allowing them to live with the consequences of their choices teaches the valuable lesson of opportunity costs. Fiscal responsibility begins and ends with your attitude, views, value system and connection to your money. 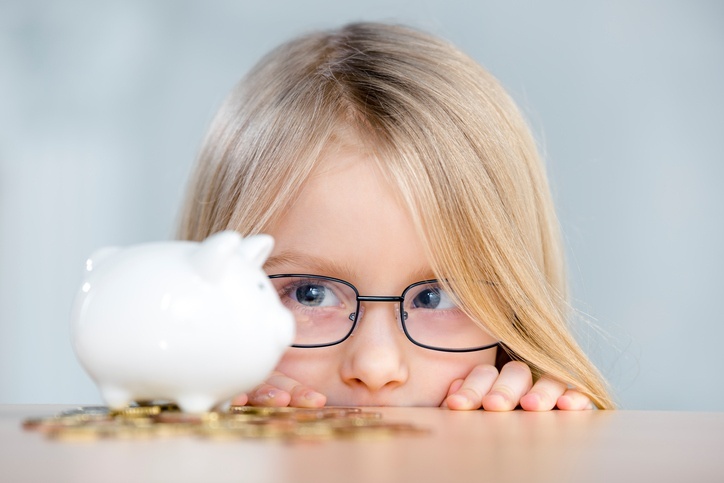 Helping kids establish a healthy relationship with money early on is one of the most important things you can do to ensure their success in life. For more information on this topic or to schedule your free FamilyVest discovery meeting, please contact us today.